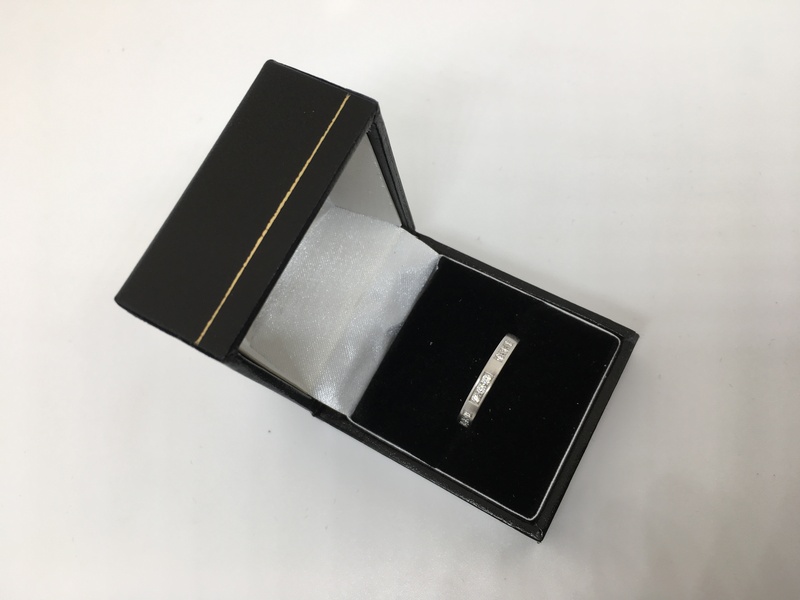 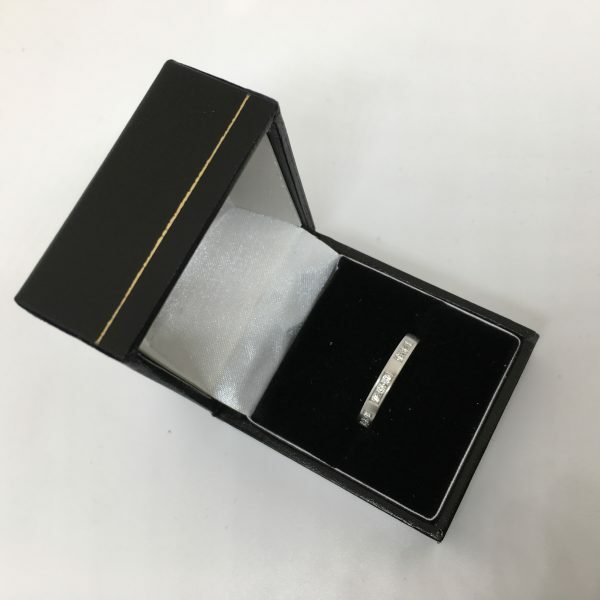 18 carat white gold 3mm diamond set brush finished band with 9 brilliant cut diamonds weighing a total of 0.18 carat in micro settings. 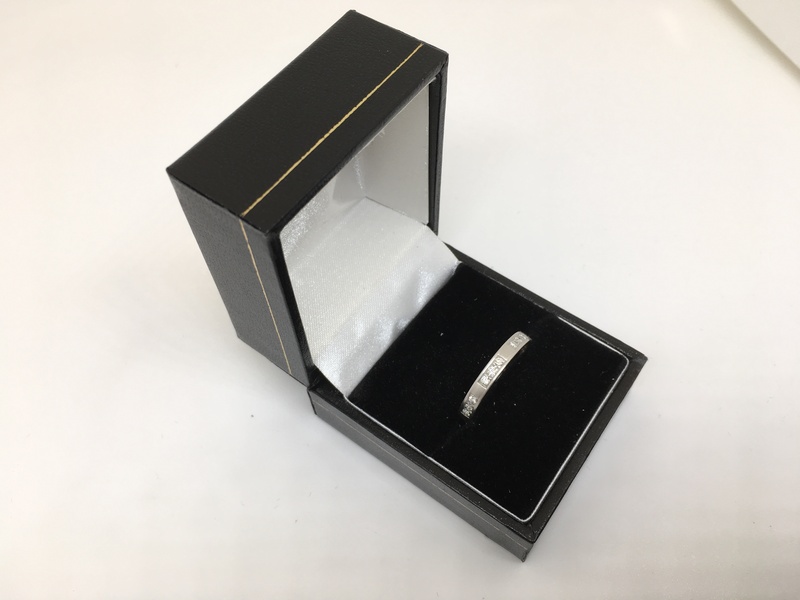 Please note: This ring is currently a size Q but we generally make our bands up to order in your finger size. 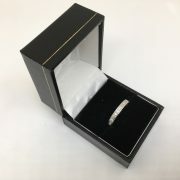 We can also make bands up to match your specification so do not worry if we don’t have in stock exactly what you want.